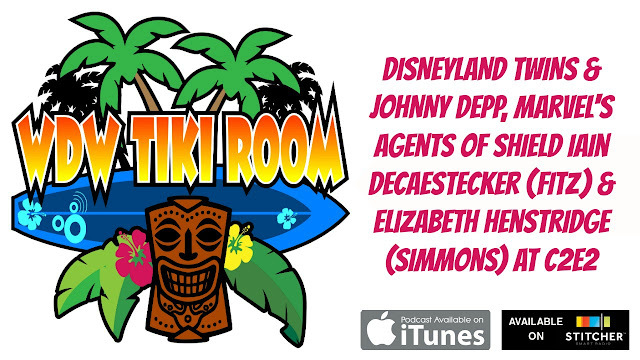 Hosts, Kristen and Aljon talk to the Disneyland Twins about their viral video with Johnny Depp dressed as Captain Jack Sparrow in Disneyland, FREE DINING (and other travel deals) returns to Walt Disney World, PLUS Marvel's Agents of S.H.I.E.L.D. stars Iain De Caestecker (Leo Fitz) and Elizabeth Henstridge (Jemma Simmons) from C2E2! BONUS - This episode contains the entire live and unedited C2E2 panel not broadcast on Sorcerer Radio.